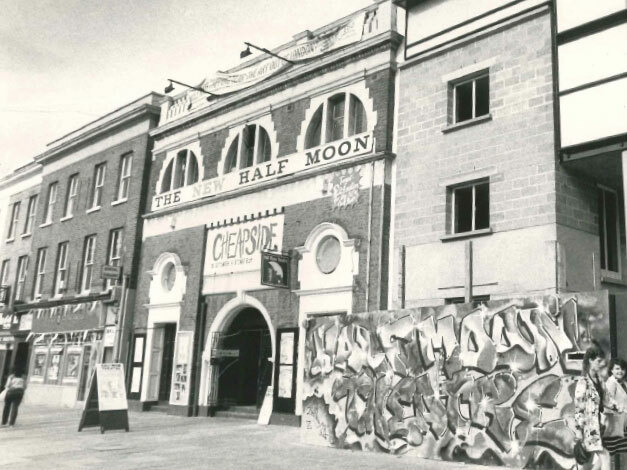 Explore the history of the three Half Moon Theatres on Alie Street, Mile End Road and White Horse Road through photographs, filmed interviews, documents, news stories and plans. Where would you like to go? 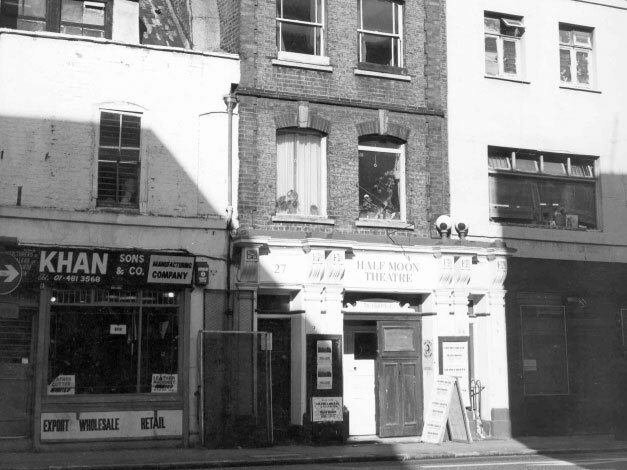 Half Moon Theatre was formed in 1972 in a disused synagogue in Alie Street, Aldgate, and took its name from Half Moon Passage at the side of the building, an alleyway which is still there today. 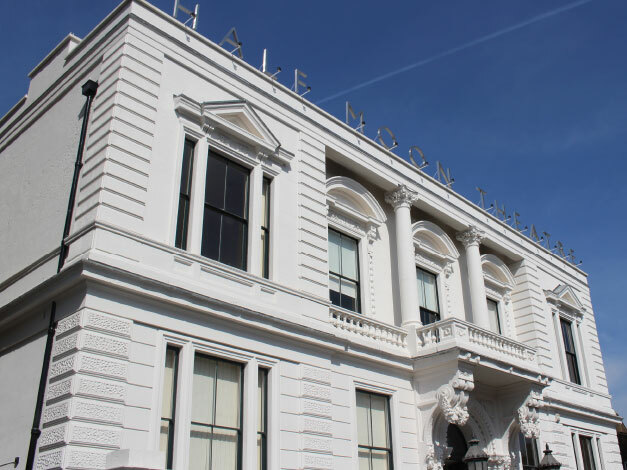 In 1979, Half Moon Theatre moved into the former Welsh Methodist Chapel on the Mile End Road and began to plan its transformation into a new theatre and community centre. 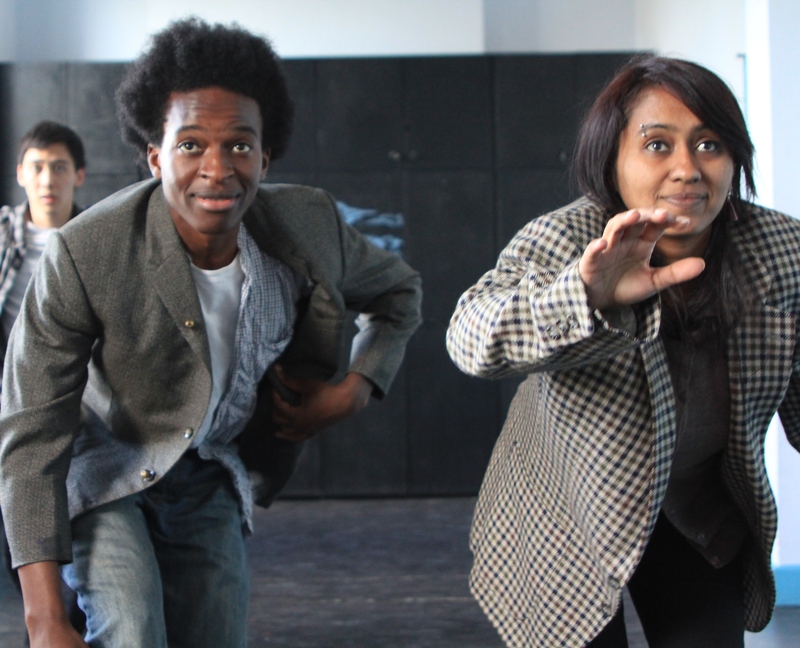 In the late 1980s, in partnership with Tower Hamlets, the company identified a suitable building on White Horse Road for a permanent base for Half Moon Young People’s Theatre.